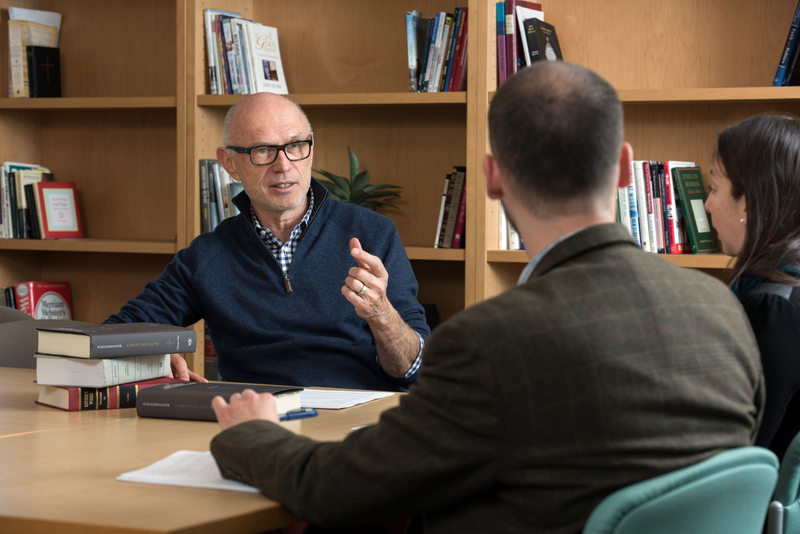 Time: 7:00 p.m. - 9:00 p.m.
Miroslav Volf was educated in his native Croatia, the United States, and Germany. He earned doctoral and post-doctoral degrees (with highest honors) from the University of Tuebingen, Germany. He has written or edited more than 20 books and over 90 scholarly articles. His most significant books include Exclusion and Embrace (1996); After Our Likeness (1998)in which he explores the Trinitarian nature of ecclesial community; Allah: A Christian Response (2011), on whether Muslims and Christians have a common God; and A Public Faith: On How Followers of Christ Should Serve the Common Good (2011). After receiving his BA from the Evangelical-Theological Faculty in Osijek, Croatia, Miroslav received his MA from Fuller Theological Seminary and both his ThD and Dr. theol. habil. from the University of Tübingen, Germany. He served as co-editor (1979-84) and then editor (1984-89) of Izvori, a Croatian Christian monthly, and he has published numerous books and articles in the U.S., Germany, and his native Croatia.